These general Terms and Conditions are a binding Agreement between you and OctaDomains.com. Your access to and use of this website constitutes your acceptance of these Terms and Conditions and any other legal notices and statements contained on this website. If you have any objections to the Terms and Conditions stipulated hereto, do not use our Services or Products in any way. Your use of our Services or Products is governed by the version of the Terms and Conditions in effect on the date OctaDomains.com website is accessed by you. OctaDomains.com may modify these Terms and Conditions at any time and without prior notice. You should review the most current version of these Terms and Conditions by visiting OctaDomains.com and clicking on the Terms and Conditions link, located at the bottom of the page. Your continued access to and use of this website constitutes your acceptance of these Terms and Conditions as modified. If you do not wish to be bound by those changes, you should cease to use the OctaDomains.com’s Products and Services. The only notice of changes or modification to these Terms and Conditions will be the publishing of the revised Terms and Conditions on OctaDomains.com; OctaDomains.com will not separately notify you of any changes or modifications. These Terms and Conditions are in addition to any other Agreements between you and OctaDomains.com , including any Client or Account Agreements, and any other Agreements that govern your use of Information, Content, Tools, Products and Services of OctaDomains.com. In no event or circumstance is OctaDomains.com, its directors, officers, employees or agents, liable, whether in contract, tort or otherwise, for any losses or damages of whatever nature, including, without limitation, any damages for loss of profits, business interruption, loss of programs or other data, arising in any manner from the use of the OctaDomains.com site, whether directly or through a linked site, modification or discontinuance of the OctaDomains.com site or from any errors, omissions, inaccuracies, or any misleading or out-of-date information, whether contained on or as received by the user of OctaDomains.com. Disclaimer: Any opinions or recommendations expressed on any third party website are solely those of the independent providers and are not the opinions, recommendations or necessarily the views of OctaDomains.com. OctaDomains.com does not provide any legal, tax, accounting or investment advice concerning the suitability or profitability of any security or investment. You are solely responsible for determining whether any investment, investment strategy or related transaction is appropriate for you based on your personal investment objectives, financial circumstances and risk tolerance. You should consult your legal or tax professional regarding your specific situation. OctaDomains.com has taken reasonable measures to ensure the accuracy of the information on the website, however, does not guarantee its accuracy, and will not accept liability for any loss or damage which may arise directly or indirectly from the content or your inability to access the website, for any delay in or failure of the transmission or the receipt of any instruction or notifications sent through this website. Any opinion, research, news analysis or other information contained in the website OctaDomains.com, is derived from sources believed to be reliable. All information is provided as general Commentaries and it cannot be constituted as advice. While OctaDomains.com makes every attempt to provide accurate and timely information to serve the needs of users, neither OctaDomains.com nor Third Party Content providers guarantee its accuracy, timeliness, completeness or usefulness, and are not responsible or liable for any such content, including any advertising, Products, or other materials on or available from third party sites. Third Party Content is provided for informational purposes only and OctaDomains.com and Third Party Content providers specifically disclaim any liability for Third Party Content available on the site. You will use Third Party Content only at your own risk. The information on this website is not intended for distribution to, or use by, any person in any country or jurisdiction where such distribution or use would be contrary to local law or regulation. None of the Services or investments referred to are available to persons residing in any country where the provision of such Services or investments would be contrary to local law or regulation. It is the responsibility of visitors to this website to determine if the Terms and Conditions comply with any local law or regulation to which they are subject. Nothing on OctaDomains.com’s websites or written material will be considered a solicitation to buy or an offer to sell any product or service to any person in any jurisdiction where such offer, solicitation, purchase or sale would be unlawful under the laws of such jurisdiction. It is your responsibility to ensure that you are aware of any modifications or updates made to our terms and conditions policy on this page. You are responsible for regularly reviewing these Terms and Conditions for any modifications and agree to be bound by the same. The domain names listed on octadomains.com were acquired for bona fide commercial use. The owner/octadomains.com intends to avoid infringements of third parties' intellectual property rights and interests and takes measures by all means reasonably assumed to do so. 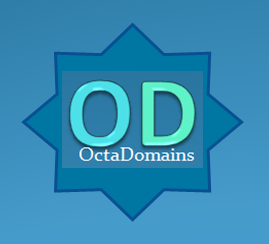 If you have rights and legitimate interests in any of these domain names, you are obliged to inform octadomains.com using its contact information. Please provide all the relevant details about your registered trademarks or other intellectual property, if any. The owner/octadomains.com believes that the procedure denoted above is sound, reasonable and constitutes a fair business practice. To the contrary, disregard of this procedure constitutes bad faith. Copyright © 2014 OctaDomains.com All rights reserved. Tous droits réservé.